Over the past few years, The Woodlands has developed a strong dining scene. While it still has more than it’s share of generic chain restaurants, there have been several notable independents calling the area home. Hubbell & Hudson, Eden Cafe, Capri, and Crust Pizza Co. are examples of the kinds of places that would be notable wherever they opened, and are causing foodies to make the trek out past 1960. What the area has been lacking is the kind of tiny ethnic restaurants that one finds all over the Houston area. We were excited to see someone bucking this trend – a tiny taqueria / taco truck on Gosling called Casa del Sol. 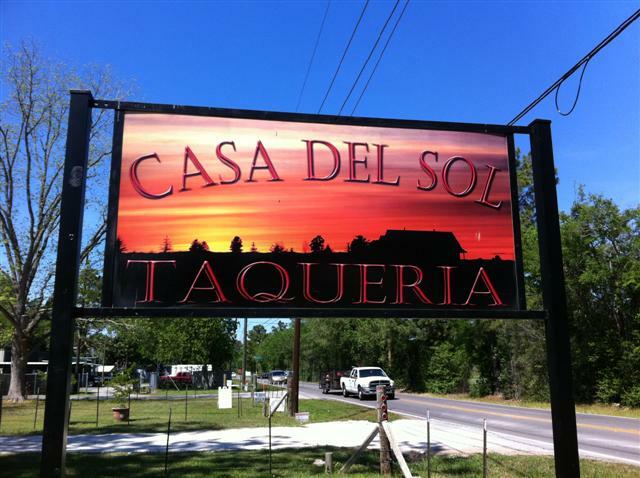 We’d passed Casa del Sol several times driving down Gosling, and finally stopped in to check it out. We were immediately taken by the quaint, relaxed atmosphere. 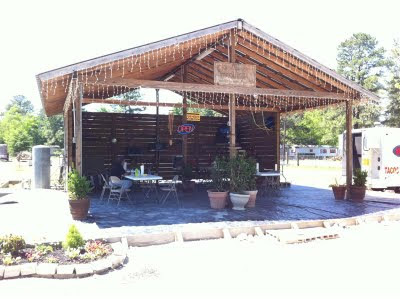 Seating is in a covered outdoor pavilion, very inviting on a comfortable spring day. The kitchen is housed in a food truck parked semi-permanently beside the pavilion. The feel of the spot reminded me of one of the tiny cantinas in Mexico’s costal towns… a welcome change from the slick atmosphere that even the independents build in The Woodlands. Having never visited before, we wanted to sample a variety of tacos. A brief chat with the proprietor gave us our game plan: One each of al pastor, barbacoa, and beef fajita. 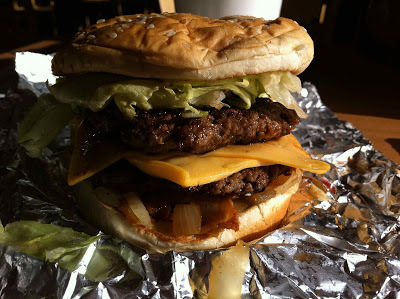 I first dug into my benchmark – the taco al pastor. Served on a freshly-made corn tortilla, quarter-sized chunks of roast pork were liberally sautéed in a deceptively spicy chile pepper sauce, and topped with the traditional fresh chopped onion and cilantro. 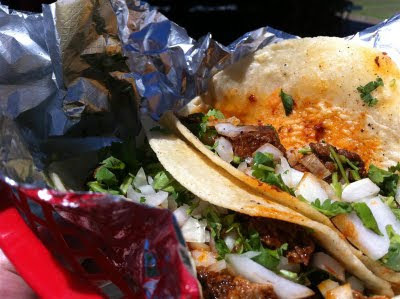 Biting into this taco was a revelation – the tender chunks of pork were considerably larger than what we typically find in an al pastor taco, and the seasoning was kicked up a notch, starting with a savory, rich note and building to a slow burn. The cup of horchata provided a welcome relief from the heat; I said a silent thank you to the friend who first suggested this beverage with Mexican food many years ago. Next up was the barbacoa. Prepared in the traditional manner using the cheek meat, it was incredibly tender without venturing anywhere near mushiness. After the tang of the al pastor, the barbacoa’s subtle smokiness was almost lost, but a quick shot of the housemade red salsa got my tastebuds’ full attention. Finally the beef fajita was up. 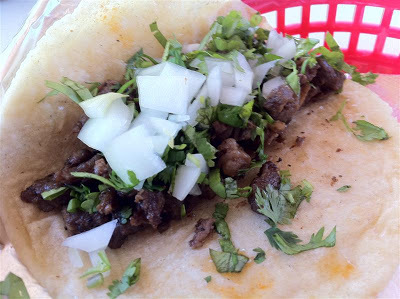 Knowing The Woodlands, this is probably the most oft-ordered taco, and it does not disappoint. Beautifully charred beef, still moist inside, was accented with a hearty squirt of lime juice and the chopped onion and cilantro. This taco will please the Tex-Mex aficionado, and will remind him just how boring the tacos are from the big national chains. Yo quero, indeed. 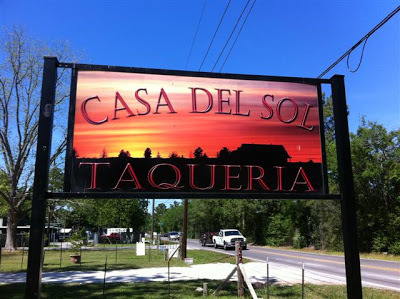 We really enjoyed Casa del Sol, and recommend that anyone who loves Mexican food stop by. For what you’d spend at Taco Bell, you can enjoy something far more authentic, and most importantly, far more delicious. The pictures of this place remind me of the many taco stands that dot the streets in Tecate, Baja, MX. Interesting post, Albert. Casa del Sol's taco could be a destination taco. Been there, about as authentic as you can get. LOVE the food! I recommend the fajita tacos. I try to make it out there every opportunity that i get. Definently worth the drive. If you live in the Woodlands area —- LUCKY! We really like this place. Fresh, great tasting food. I am really surprised at the number of choices on the menu given such a small shop. Definitely going to have to start making a detour on the way home from work and pick up dinner! Absolutely wonderful! 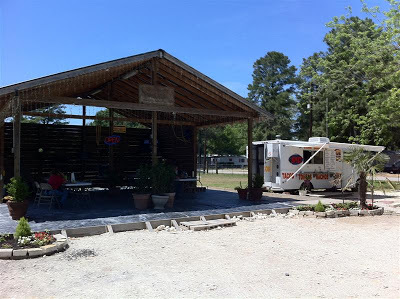 Hands down the best, freshest and most economical in or around the entire North Houston area. Do yourself a favor and give it a shot….you WILL NOT be disappointed!